To celebrate becoming the Major Jersey sponsor of the QLD Maroons, Suncorp wanted to reward their customers in a unique and memorable way. 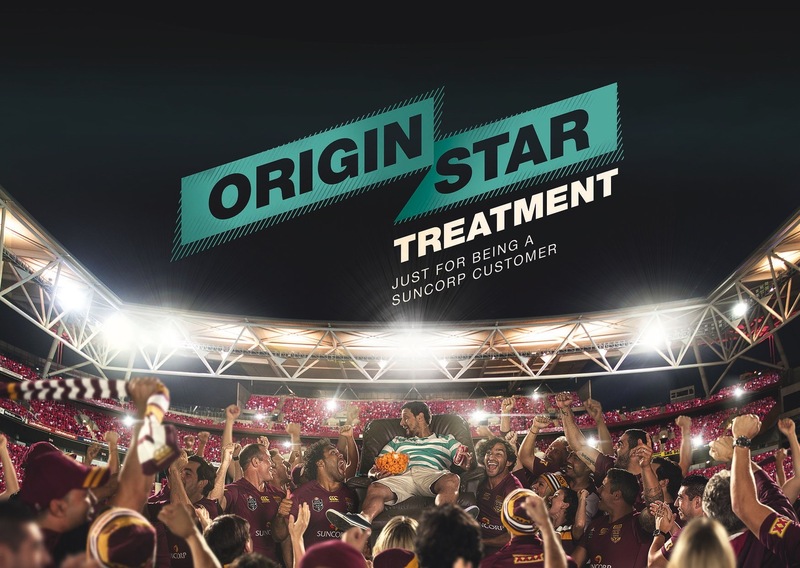 We created ÔOrigin Star TreatmentÕ for Suncorp customers Ð an online promotion that gave our customers the chance to experience what itÕs like to be an Origin star. The hub of the campaign was a customer-only microsite that allowed customers to view exclusive content and create personalized shareable content. They could also enter the draw for prizes, including personalized jerseys, access to the CaptainÕs Run and tickets to Origin 2 hosted by Roy and HG at Suncorp Stadium. We personalized every piece of communication we had with them, even to the point of giving each customer a nickname based on their surname. Over 125,000 Suncorp customers interacted with the campaign, and over 10,000 customers joined us for the Roy and HG event.